His mother, Jill Wheeler, who owns a children’s theater company, described the move as 'insulting' and a 'slap in the face'. 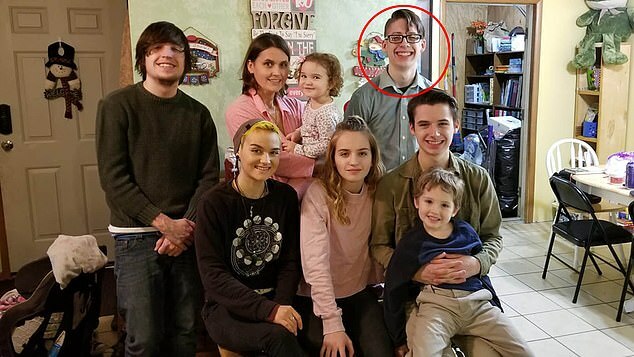 The teenager ended up missing out on shots for measles, mumps, and rubella (MMR), chickenpox and even polio - a disease that can cause paralysis and lead to death. Ethan said his mother was influenced by theories such as the work of discredited physician Andrew Wakefield and his study linking the MMR vaccine to autism. The teen decided to do some research and presented new information to his mother to try and change her mind, including a report by the Centers for Disease Control and Prevention that debunked the autism myth. Ethan told NPR: 'Her response was simply "that's what they want you to think". Ms Wheeler says that her experience with Ethan has convinced her to start talking to her younger children about exempting them from vaccinations. She said: 'It has opened my eyes to say "I better educate them now. Not wait until they’re 18." Ethan said he has also tried to discuss the issue with his siblings and has gotten mixed reactions. His brother, 16, wants to get shots but his sister, 14, agreed with their mother. States often allow parents to exempt their children from vaccinations due to religious and sometimes even personal or philosophical reasons. 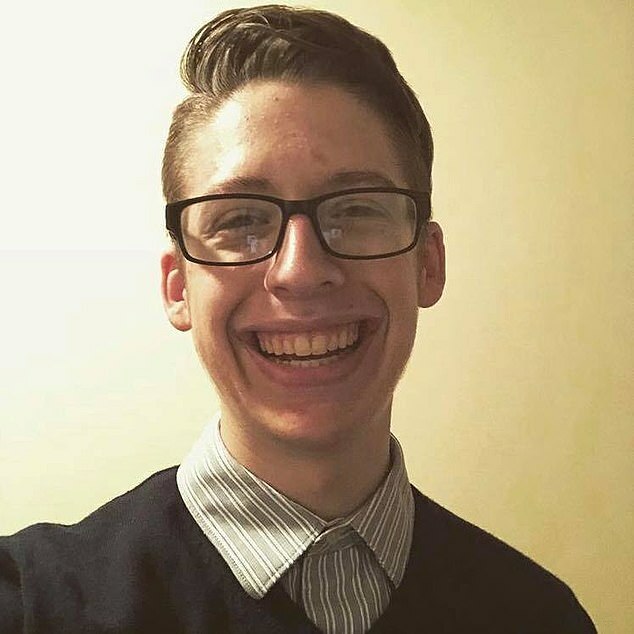 In Ohio, where Ethan lives, the age of consent to vaccinations is 18 and parents have the right to make medical decisions for their children. The state allows parents to exempt their children, and Ms Wheeler said she hasn't received much 'push back' after her decision was for personal reasons. Non-medical exemptions from vaccinations are seeing an increase in states such as Oregon, Idaho, and North Dakota, putting those areas at risk of a disease outbursts. It comes as a measles outbreak in an anti-vaccine community in Washington state has been declared a public health emergency by health officials. So far, 23 cases of the highly contagious disease have been confirmed in Clark County since January 1, according to a Clark County Public Health report published on Tuesday. Twenty of the cases are in children who have not been vaccinated. Eighteen of the cases are in children age 10 and younger. Many parents are citing belief-based reasons rather than medical exemptions for choosing not to vaccinate their children. Clark County - which sits across the Columbia River from Portland, Oregon - has led Oregon officials to warn residents about potential areas of exposure. People infected with the virus have visited several locations including elementary schools, high schools, churches, urgent care facilities, a Costco and a Dollar Tree. The Centers for Disease Control and Prevention (CDC) recommends children receive the first dose at 12 to 15 months old and the second dose at four to six years old. Non-medical exemptions from childhood vaccinations are rising in some areas of the United States - creating a risk of disease outbreaks. Research has found an increase in the number of kindergartners with exemptions in 12 states. Idaho had eight of the 10 highest exemption rates of all states in the study group. Camas County, the second least populous county in the state, had the highest rate, with nearly 27 percent of kindergartners having a documented exemptions. Utah's Morgan County was 10th, with a rate of almost 15 percent. Currently, 7 states allow parents to exempt their children from receiving a vaccine if it contradicts their religious beliefs, and 18 states permit philosophical exemptions based on moral, personal or other beliefs. California allows minors as young as 12 to consent to vaccinations for hepatitis B, along with the vaccine for HPV, a major cause of cervical and other cancers. In Alabama and Oregon, wider statutes allow minors aged 14 and 15, respectively, to consent to their own health care. But most states do not have regulations and laws for immunizations. But here have been some moves to expand minor’s rights regarding preventative care — which would include contraception and vaccinations. In 2017, the Texas legislature introduced a bill that would have allowed minors aged 14 and older to consent to vaccinations for cancer prevention.